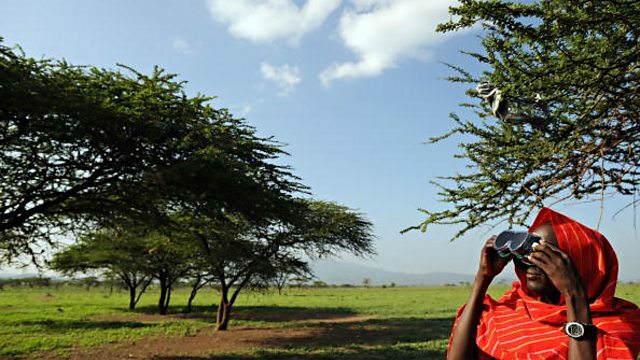 BBC World Service - BBC World Drama, Why Is The Sky So Blue? Why Is The Sky So Blue? By award-winning playwright Katie Hims, the play draws together the personal testimonies of seemingly ordinary people in Africa. Starring Tanya Moodie, Ellen Thomas, Demi Oyediran and Isaac Ajala. Why Is The Sky So Blue by award-winning playwright Katie Hims, draws together the personal testimonies of seemingly ordinary people in Africa coming to terms with their own and their community's problems. It centres around the story of Dorothy, a widow, who begins to realise how her district is being devastated by the very things no one is prepared to talk about. As she comes to terms with her own story, she uncovers the answer to the many questions which have troubled her and her family - not least why the sky is blue. Starring Tanya Moodie, Ellen Thomas, Demi Oyediran and Isaac Ajala. 2018 International Radio Playwriting Competition - Meet the Winners! We received nearly 1,500 scripts from 114 countries. Here's what the winners had to say. Winner of the 2nd language category in the International Playwriting Competition 2016.